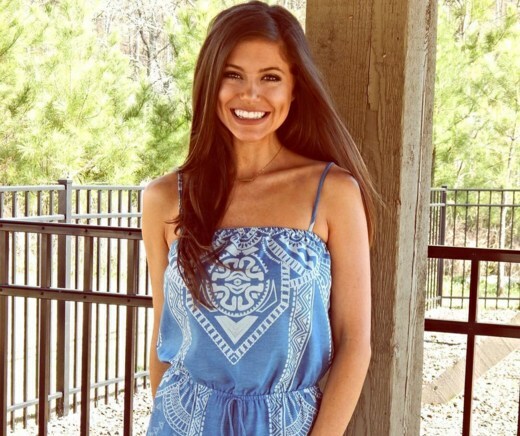 Meet Peyton Thomas, the drop-dead gorgeous founder of the online fashion brand ThirtyOne Boutique, whom has 100k instagram followers watching her every move. 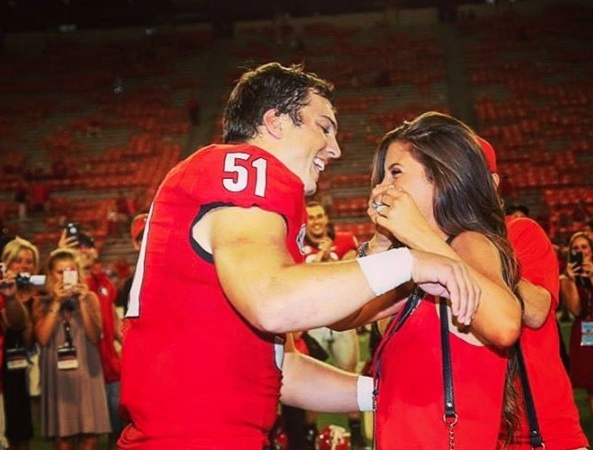 Oh yeah - and she's getting married in one week to the love of her life, Jake Ganus, who recently signed with the Vikings. Milk & Honey Magazine was beyond flattered to sneak Peyton away from her crazy busy schedule to give us the scoop on her exciting life. Enjoy! ➳ Tell us a bit about yourself! Hey ya'll! My name is Peyton Thomas and I am 21 years old, and I'm from Chelsea, Alabama! I attended Chelsea High School where I met my sweet fiance, and then went on to UAB where I majored in Communications Management. My favorite thing to do is probably watching movies, I can't get enough!! I also love watching my fiance do what he loves, football!! ➳ Inspiration to start 31 Boutique? Growing up, I always wanted to be a nurse because my mom was a nurse. During my second semester of nursing school, I realized how unhappy I was with it and could never see myself working in a hospital for the rest of my life! I took a leap of faith and changed my major, not knowing at all what I wanted to do as a profession! I knew I wanted to do something I loved and was passionate about, but I didn't know what that was! One day, my last semester of college, my mom and I literally just decided to open an online boutique. We didn't look back. We took it day by day and figured out everything on our own; it was definitely a learning process! I knew I wanted it to be based around God and have a biblical meaning behind it where I could spread the word of Christ. We thought, "what better message to send than the message of Proverbs 31?" I would describe my personal style as a mixture between sporty cute and super girly! Half of the week I'm in workout clothes and tennis shoes, and on the weekend I love to dress in cute girly outfits, and rompers are my go to! ➳ How has wedding planning been coming? I am getting married super soon - June 24th - and we could not be any more exciting!! Wedding planning has been so amazing, I have loved every minute of the process. I am very laid back and totally not a planner type person, so thankfully I have people around me making me plan and get stuff done! ➳ Love at first sight? How'd you meet? I met Jake after 8th grade at Vision Land, now known as Alabama Adventure, which is a water park in Birmingham! He was moving to Birmingham from Atlanta and our grandmas grew up together and were friends, so they set us up at the water park! I can't say it was love at first sight just because we were so young! 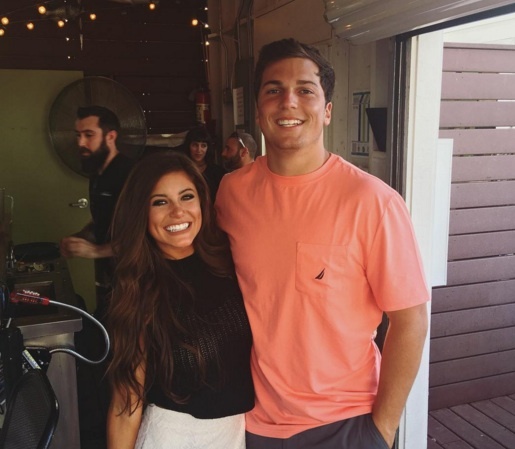 Jake kind of chased after me for a year, and then I decided to give in, and we started dating sophomore of high school. By junior year, I knew he was the one I would marry, and the rest is history! ➳ Advice to wait for the right man? I would definitely encourage younger girls to wait for the perfect guy for you. Most people don't meet their soulmates in high school; it comes later in life, and that is completely okay! I think so many of us get wrapped around wanting the perfect man and the perfect life now, but sometimes God has different plans for us. Trust in him and His timing, I promise it is better than anything we could dream of on our own! ➳ Favorite book/verse from the Bible? I love the Proverbs in the bible, they are my favorite passages! One of my favorite verses outside of the Proverbs is Colossians 3:14 which states, "and most of all, let love guide your life." I think it's so important as Christians for love to guide our life, since the love of God is living inside of us, and for that to translate to love for people. The world can be a scary dark place, and living a life guided by love really changes everything. In 5-10 years, I see Jake and I hopefully with a baby or two and settling down somewhere in Alabama. Life is so crazy and unpredictable these days with him playing football, so we have to be very mobile and willing to move whenever and wherever that may be! As of right now, we will be in Minneapolis, MN for the next few years, but that could change quickly! Hopefully in 5-10 years we will have a more permanent home! I pray for much success for ThirtyOne Boutique and cannot wait to see where it is in several years!